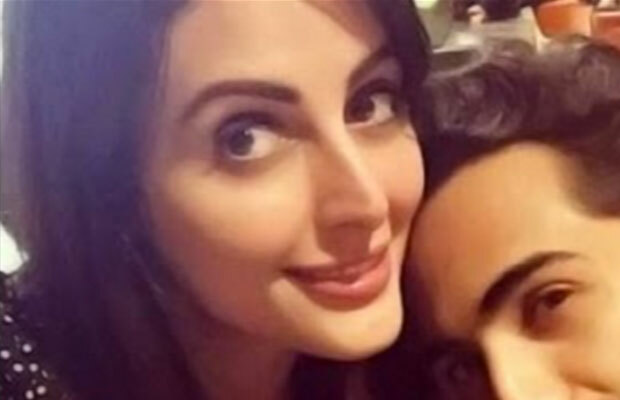 Home PHOTOS Former Bigg Boss Contestant Mandana Karimi Is Engaged! [tps_footer]Iranian beauty, Mandana Karimi, who grabbed all the eyeballs for her stints on controversial reality show Bigg Boss 9, is currently on cloud 9. 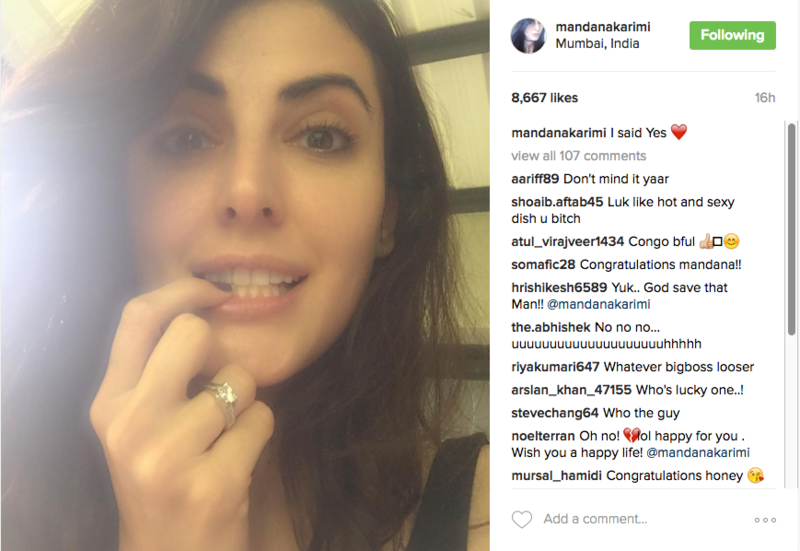 Yes the very gorgeous Mandana Karimi, who was dating to Gaurav Gupta for last 2 years, is finally engaged. When the model turned actress was on the show, she had revealed that she is dating Delhi-based entrepreneur Gaurav Gupta. Well, after spending a good time with each other for last 2 years, the lovely couple has taken their relationship to the next level. Earlier it was reported that Mandana and Gaurav were on the rough patch of their relationship as Gaurav had refused to appear on the finale of ‘Bigg Boss 9’. Well, all’s well that ends well. The lovely couple has taken their relationship to the next level and is reportedly planning to marry by the end of this year. Previous articleSpotted: Kareena Kapoor Khan partying With Sister Karisma Kapoor! Next articleWatch: Ranbir Kapoor, Deepika Padukone And Ranveer Singh Dancing Wildly At A Bash!